“As I have said all along, the consequences of failing to raise the debt ceiling and defaulting on our debt would be disastrous to all Minnesotans. Unfortunately, in a game of chicken, the player most concerned about protecting the full faith and credit of the United States is put in the most difficult position. “As a result, the deal that has been struck is not balanced, as I would have preferred. It does achieve the laudable goal of reducing the deficit, but does so with only cuts, even though a significant majority of Americans, including a majority of Republicans, favor closing loopholes for corporations and tax increases on the wealthiest Americans to make sure everyone is paying their fair share. “Nevertheless, I will vote for this package, because defaulting would have grave economic consequences for my Minnesota constituents. The deal does protect Social Security, Medicare and Medicaid beneficiaries. And it will erase some of the uncertainty confronting businesses and the markets. Representative Gabrielle Giffords is embraced by colleagues on the floor of the House of Representatives, moments after the House voted to raise the U.S. borrowing limit. Giffords received a thunderous ovation from Democrats and Republicans alike. She returned to vote in favor of a bill to raise the U.S. debt ceiling and avoid default. Steve Benen: …. the House voted to approve the debt-ceiling agreement reached yesterday, and the margin wasn’t even as close as expected …. the final vote was 269 to 161. The Democratic caucus – much of which refrained from voting until most GOP members had cast their vote – was split evenly, while the clear majority of Republicans backed the agreement. ….. I have to say, as much as this bill bothers me, and as much as the recent breakdowns in our political system have disgusted me, Giffords’ return was a beautiful sight. As for the legislation, the Senate is still expected to take it up in the morning, where passage is all but assured. ….Substantively, his statement’s relationship to reality is tenuous at best. (It was Obama who pushed this debate until the very last minute?) But put that aside and look at the big picture. … Obama has taken a lot of criticism for his management of the debt ceiling debate, most recently from yours truly. But Romney’s statement is a reminder of just how difficult a situation he faces, given the extremism and immaturity of Republican Party leaders these days. Could Obama have adopted a far more aggressive posture while negotiations were going on? Absolutely. But the simple fact of entering into talks inevitably reinforced the sense that Obama and Dems were not prepared to allow default – no matter what – reinforcing a set of dynamics that were stacked against them. Was that avoidable? so, eh, is netanyahu an enemy of israel too? AP: In a dramatic policy shift, Israel’s prime minister has agreed to negotiate the borders of a Palestinian state based on the cease-fire line that marks off the West Bank, a TV station reported Monday. Up to now, Benjamin Netanyahu has refused to spell out his plan for negotiating the border. A senior Israeli official would not confirm outright that the prime minister was now willing to adopt the cease-fire line as a starting point, but said Israel was willing to try new formulas to restart peace talks based on a proposal made by President Barack Obama. 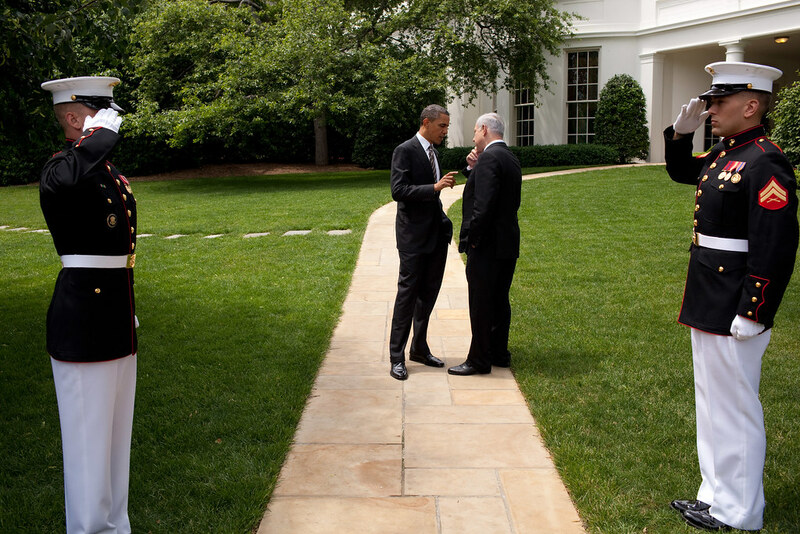 In a speech about the Middle East in May, Obama proposed negotiations based on the pre-1967 line with agreed swaps of territory between Israel and a Palestinian state. Netanyahu reacted angrily, insisting that Israel would not withdraw from all of the West Bank, though that was not what Obama proposed. Now Netanyahu is basically accepting that framework, according to Channel 2 TV, offering to trade Israeli territory on its side of the line for West Bank land where its main settlements are located…..
Deaniac83 (The People’s View): …. Paul Krugman is a political rookie compared to Barack Obama. He is either unwilling or unable to actually look at the deal that was announced and realize what just happened: Barack Obama ate John Boehner’s lunch, and then he turned Boehner out to go preach to his conservative colleagues that this eating of the lunch by Obama is actually politically good for them. I am not kidding. Nor exaggerating. I will show you exactly how that happened if you bear with me a little bit. But first, let’s get some details of the deal out of the way so that everyone has an idea what we’re talking about. …. Now let’s get to the fun part: the triggers. The more than half-a-trillion in defense and security spending cut “trigger” for the Republicans will hardly earn a mention on the Firebagger Lefty blogosphere. Hell, it’s a trigger supposedly for the Republicans, and of course, there’s always It’sNotEnough-ism to cover it. Consistent With Past Practice, Sequester Would Be Divided Equally Between Defense and Non-Defense Programs and Exempt Social Security, Medicaid, and Low-Income Programs: Consistent with the bipartisan precedents established in the 1980s and 1990s, the sequester would be divided equally between defense and non-defense program, and it would exempt Social Security, Medicaid, unemployment insurance, programs for low-income families, and civilian and military retirement. Likewise, any cuts to Medicare would be capped and limited to the provider side. Read that again. That’s what the media and the whiners are not telling you. The President agreed to no Medicare benefit cuts in the “trigger”. None…. …. As it turns out, if you look at the details, the President essentially gave up almost nothing in the triggers. John Boehner, as usual, put himself between two triggers (three, if you count the clock ticking on the Bush tax cuts), both bad for his party. McConnell is basically trying to sell his surrender pig with a little lipstick on. And Boehner went dancing to his conservative House morons about how great this deal is for them. But then by now, we should all have learned that John Boehner is very bad at his job, and that President Obama always eats his lunch, and leaves him there holding the teabag. president loses gazillions of twitter followers! This ever-rising number of followers has been widely reported by the media. Steve Benen: ….. I’ve seen several reports on the debt-ceiling framework describe it as a “compromise” between Republicans and Democrats. That’s far too generous a term. Is this a deal? Sure. Is it an agreement? Absolutely. Can it fairly be characterized as a “compromise”? Not at all. Republicans threatened to crash the economy, on purpose, unless a series of radical demands were met. Democrats made an effort to lessen those demands and make them less painful than intended. The result, not surprisingly, is rather ugly, which is to be expected. The debt-reduction framework isn’t a compromise; it’s a ransom. If one were to draw up two lists – one with all the concessions Democrats made, the other with the concessions the GOP made – the one-sided image would be striking. Of course, that’s what happens when one party has a gun to the head of its hostage – in this case, the nation and its economy – and the other party wants to prevent their rivals from pulling the trigger. …. what’s the less-bad news? There are a few noteworthy angles: (1) if the trigger kicks in, Medicaid and Social Security would be walled off and protected…. (2) triggered cuts for the 2012 fiscal year are practically non-existent, so it won’t hurt the economy in the short term; (3) a surprising amount of the overall deal targets the bloated Pentagon budget, which makes more painful domestic cuts less necessary; (4) there won’t be another debt-ceiling fight until 2013, giving the GOP one fewer hostages to grab for a while. And (5) if the deal passes, there will be no calamity this week, and everyone lives to fight another day. ….. there’s nothing in this deal to promote economic growth and nothing to create jobs … That Republicans wanted to take a huge step backwards, and Democrats negotiated to make it a more modest step backwards is cold comfort. The Senate is likely to vote on the deal as early as this afternoon, and passage appears likely. The House vote may come tonight, and the outcome in the lower chamber is very much in doubt.